True Definition in Roofing Shingles! TruDefinition is the Owens Corning color design platform trademark on roofing shingles that are specially formulated to capture the bright, vibrant hues and dramatic shades that showcase the aesthetic appeal of your home and roof. TruDefinition roofing shingles feature multiple-granule colors and shadowing to provide an extraordinary look that will enhance your home and complement its natural surroundings from your roof down. As we have said before...there is a fine line between a good roofing shingle and a great roofing shingle. SureNail® Technology offers strength and durability unlike other roofing shingles on the market today. Owens Corning builds into every Duration® Series shingle, a unique fabric strip in the nailing area to provide an outstanding gripping power. It is also true TruDefinition roofing shingle are amazingly wind resistant. Significant wind can cause roofing shingles to literally blow off the roof deck. Missing shingles can then lead to leaks and other interior damage to your home. The quality and performance of the sealant on a roofing shingle helps plays an important part in wind resistance performance of your overall roof. 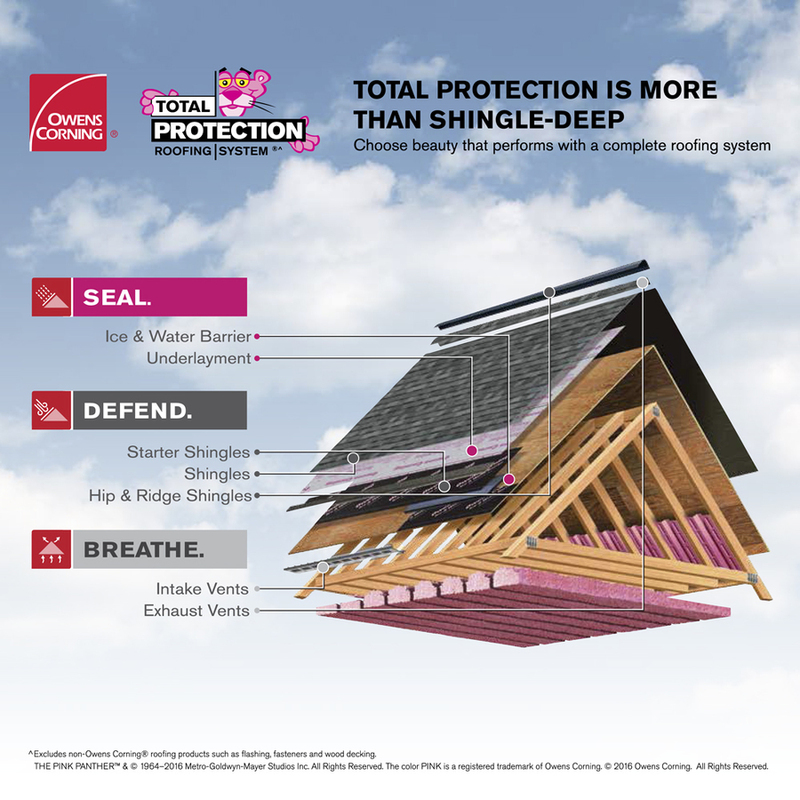 Owens Corning certifies their shingles to industry recognized wind resistance standards through independent third-party testing laboratories. Another Special Feature of the TruDefinition Roofing Shingle is Algae Resistance! Algae growth may cause brown to black streaks on roofs but this discoloration does not impact the service life of the shingles. Algae species are transported through the air and growth occurs to varying degrees in all regions of the country; especially those subjected to warm, humid conditions. Algae should not be mistaken for fungus growth, soot, dirt, or moss. 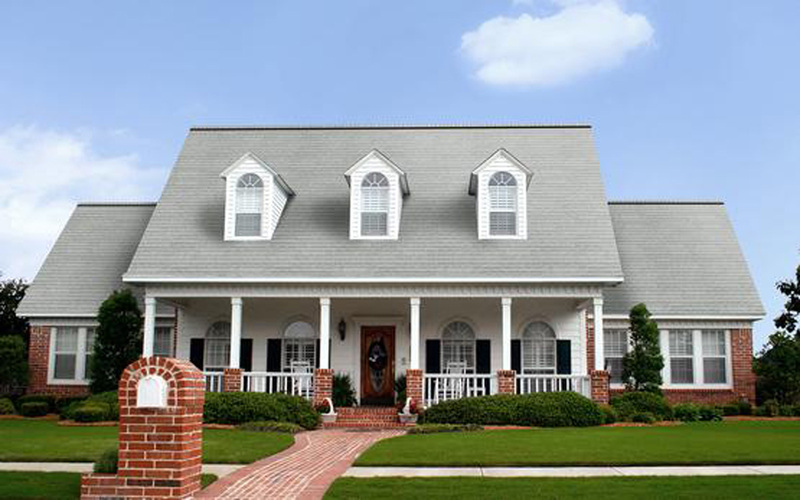 Almost all types of roofing systems are susceptible to algae discoloration. 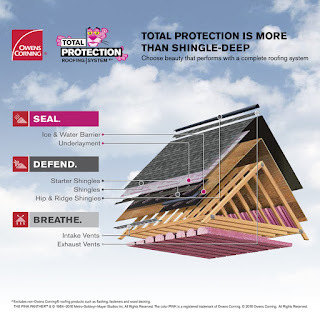 Where noted on the individual Product Detail page Technical Specifications tab, Owens Corning provides limited warranty coverage on some of our shingles for algae resistance. For full details of coverage, refer to the actual warranty for details, limitations, and requirements. Call 4 Guys And A Roof - an Owens Corning Platinum Preferred Contractor in Haskins Ohio at 419-343-8648 or visit our website at www.4GuysAndARoof.com to learn more!